Tolerances: ±0.020" x ±0.020" x ±0.020"
This popular size is now offered with a thermoplastic rubber-like coating. They won't mark or scratch surfaces they come in contact with. The coating helps limit slipping on smooth surfaces. 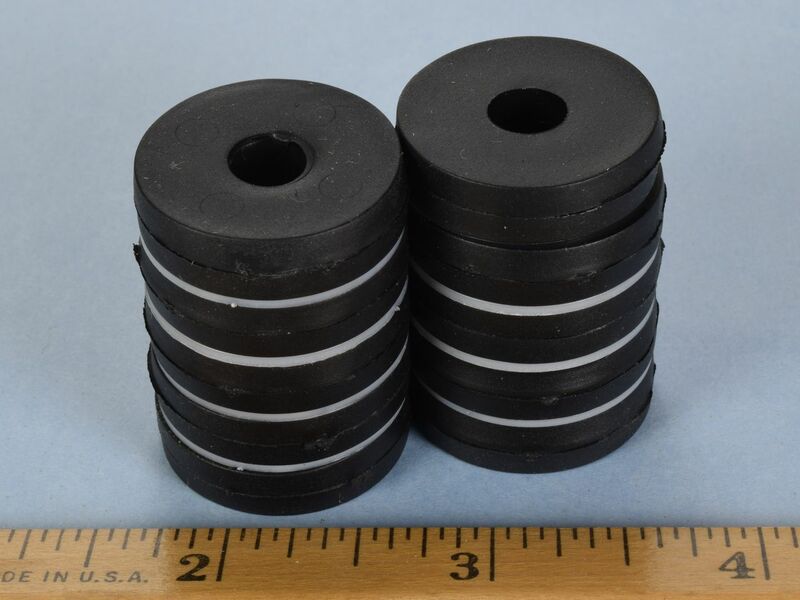 These magnets are similar in performance to our natural rubber coated RX054BR-N52 ring magnets, but with several key differences. 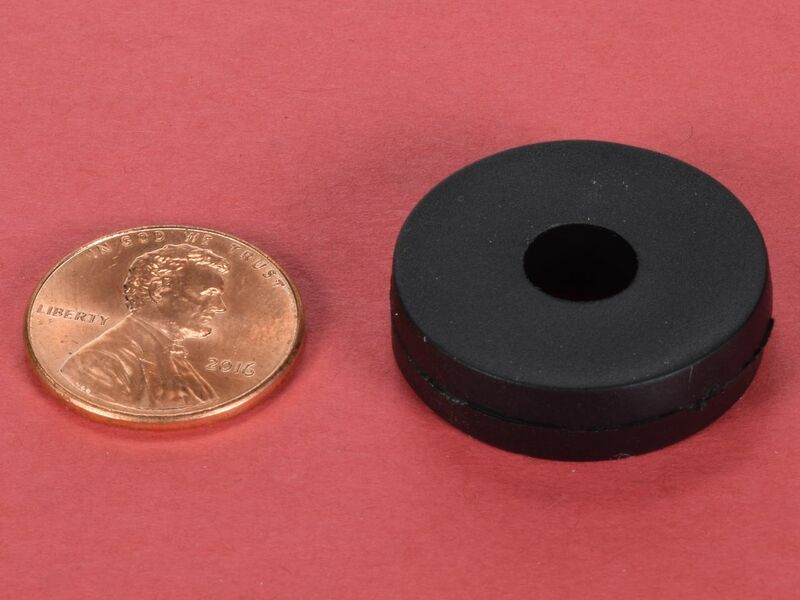 Unlike natural rubber, which can have tiny pin-holes, this coating can seal the magnet from moisture. Our underwater testing is in progress! These magnets are easier to separate. They and are nicer to handle and cleaner than blackened natural rubber.